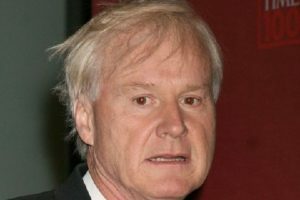 The Washington Post Gets "Occupied"
In last night’s editorial on Hardball, host Chris Matthews expressed his frustration with the lack of passion from Obama’s supporters including his own cabinet, and the need to build an Obama party before it’s too late. Matthews: Let me finish tonight with what President Obama needs most politically. He needs allies, potential confederates who’ll get out there, who’ll sing his praises, take punches for him, and deliver some punches themselves. And not only that, he needs political loyalists who have strong gut ties to the people who are going to decide this election next year. Not just the college crowd that got him nominated and elected in 2008, but the scared, angry people who didn’t go to college. I didn’t see a lot of them out there working and speaking for him lately. Word is out that Obama is a transitional, or rather, a transactional politician. He cuts deals with people but he doesn’t forge bonds. When is he going to bolster his political forces and what’s the story with the people in his cabinet? Where are they? Do they campaign for him? Do they stand up on the Sunday shows with passion and stick it to their critics? I’ve never seen such a band of political neutrals as his cabinet. Come to think of it, who does speak up for Obama with any real passion these days? Democrats and Congress act as if they’re in a different political party, not just a different branch of government. Obama needs battle-ready surrogates, and he doesn’t have them. He needs allies who will go out there and get their brains knocked in. He needs troops. And the reason he doesn’t have them, I suspect, is brutal. He hasn’t recruited them, hasn’t spent time enough with them, hasn’t made them feel as though he needs an army. There’s still time for Obama to build an Obama party between now and next fall’s general election, but not much time. So not only was it the college crowd that helped get Obama elected in 2008, but scared angry people that didn’t go to college. Some of the Occupy Wall Street crowd perhaps? As far as the lack of passion goes, it’s hard to get excited when millions of people are unemployed and likely to stay that way for the forseeable future and with the country drowning in debt. And forget about the Democratic Party. It is now time to build an Obama Party, as Mathews said, one that will consist of an army full of loyalists who will stop at nothing to re-elect the President, because desperate times require desperate measures.